Here is a video Bill made of our recent trip to Melbourne from Brisbane. We went down the Newel Highway and came back on the Princes and Pacific Highways. 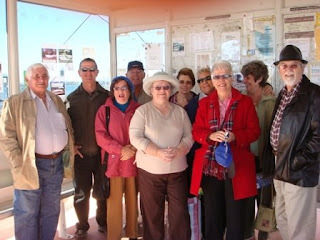 I made a group of friends when I was at work but as we started to reach retiring age we decided to keep in touch by meeting when it was one of our birthdays. Instead of giving gifts each time we have a Bear, which is passed from one birthday person to the next. Each time he is given he /she has to be dressed to reflect the personality of the recipient. On the 18 May it was Chris's birthday celebration. 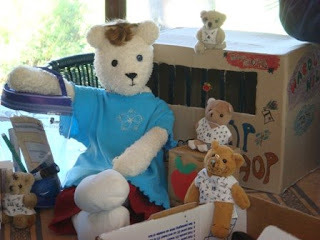 Chris is a teacher at the gaol so Bear was dressed as her teaching the inmates and some little bear inmates came too. 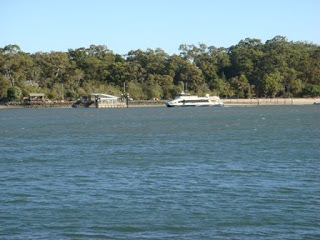 We celebrated Chris's birthday on Macleay Island at the Blue Parrot Restaurant. It was something different going by ferry for lunch. We had a great day. 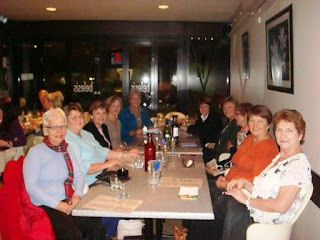 After 35 years we still have playgroup mums get togethers. Tonight we had dinner at Belises at Cooparoo. 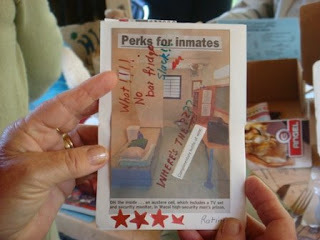 We catch up with what the children are doing now and we share photos of grandchildren.